As a company based in Memphis, we have a vested interest in the protection of children in our local school systems. Our own children attend the very schools we service. We have years of experience working with educational facilities and school districts throughout the Mid-South, and we know that a school must be a safe environment in order to provide a high-quality education to its students. Call us today at 866-308-5701 to request service! According to the National Fire Protection Association (NFPA), U.S. fire departments responded to an estimated average of 6,260 structures fires in educational properties, annually between 2005 and 2009. These fires caused a yearly average of 85 civilian fire injuries and $112 million in direct property damage. About 72 percent of the fires occurred in educational properties involving schools providing pre-school through high-school education. The NFPA estimates that 4,510 structure fires involving pre-school through grade 12 buildings were reported per year in 2005-2009. Fire protection systems must be serviced with minimal interruption to the students and staff, which leaves limited opportunities for maintenance. State Systems, Inc. will work with you to find the best times to install and maintain your fire protection system. Here at State Systems, Inc., we install fire alarm systems in schools throughout the Mid-South. 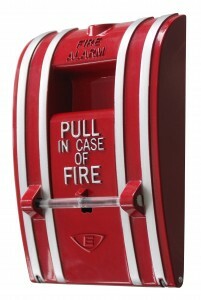 Fire alarms are the first response system for alerting students, visitors, and faculty members of a fire or emergency. At State Systems, Inc., our highly skilled, experienced fire safety team performs annual fire alarm testing for schools, colleges, and universities in Tennessee, Arkansas, and Mississippi to make sure your school building’s fire alarm system will operate if and when a fire emergency occurs. There are both local and national fire safety requirements your school’s fire alarm system must meet. We have a strong understanding of these requirements and regulations—contact us today for more information on fire alarm systems we install for schools. Automatic fire sprinkler systems and fire pumps provide schools and college campuses with 24-hour fire protection. Here at State Systems, Inc., our fire protection experts test, inspect, maintain, and repair fire sprinkler systems in schools and campuses throughout the Mid-South. 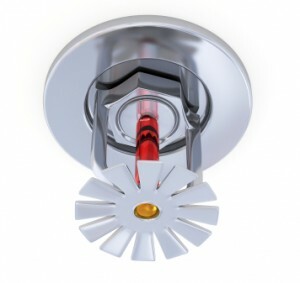 We ensure that your sprinkler systems meet NFPA guidelines and local fire safety requirements. Call us for more information or if you have any questions at 866-308-5701. Studies of fire incidents have revealed that in 80 percent of cases, a portable fire extinguisher successfully extinguished the fire—making them an invaluable fire protection tool in educational facilities throughout TN, AR, and MS. Access to fire extinguishers in schools is often restricted by the placement of equipment or material in front of the device. As a result, some of the units are either concealed or virtually impossible to reach in the event of a serious emergency. Standard guidance recommends or requires that access be maintained at all times to all portable fire extinguishers. A sign or symbol should be posted above the unit to indicate the presence of the unit. In addition, each extinguisher should be mounted at approximately three feet above the ground. Fire extinguishers present in local schools may also not be rated and approved for the types of fires that occur in that particular area. Contact us for fire extinguisher installation, inspection, repair, and training services. Nearly all educational facilities have a school cafeteria, food court, or dining hall with a commercial-grade kitchen. No matter how or small or new or old, school kitchens are just like any other commercial kitchen and present the risk of a fire. Our fire protection experts work with schools, colleges, and universities throughout TN, AR, and MS to install kitchen fire suppression systems. Call us or contact us online to learn about our kitchen fire suppression systems, and how they can protect your staff and students from a fire. State Systems provides schools in the area with pressure washing services. Our pressure washing techniques utilize high pressure and hot water to thoroughly clean vent hoods and exhaust systems using state-of-the-art equipment. Also, the condition of a school’s exterior speaks volumes as to what may lie on the interior. When it comes to schools, college campuses, and other educational facilities, this is especially important. A dirty exterior sends a negative message to students, parents, and staff members. We can keep nearly every part of a school’s exterior clean and inviting—just give us a call to learn more. K-12 schools and college campuses can be large and confusing, especially to new students and visitors, making it more difficult to locate an exit during a fire emergency. As a result, emergency lighting systems are necessary to guide everyone in the school—students, visitors, and faculty members—to safety. State Systems inspects, tests, and maintains your school’s emergency and exit lights to make sure that your fire emergency lighting systems operate when needed. Call us if you need emergency and exit lighting for an educational facility. Every school district faces unique challenges, but they all share a common responsibility for ensuring the safety and security of students, visitors, and faculty members. In order to meet this responsibility, several school systems are incorporating access controls systems within their overall security strategy. Access control systems provide schools an important layer of security by allowing or denying a person’s admittance to an area or facility through the use of access cards or biometric recognition. Call us to learn more about the importance of access control systems in your school and to schedule installation. 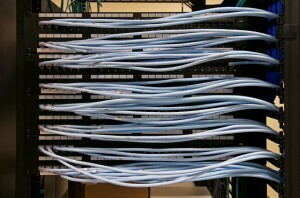 Structured cabling is the installation of a building’s cabling infrastructure—the networking medium that allows phones and computers to talk to each other and access the Internet. It’s especially important that college campuses invest in professional structured cabling in today’s world. College students require readily available access to the Internet for academic and extracurricular usage. College students are increasingly choosing a wireless laptop as their primary computer. Students should not have to deal with excessive roaming within a network sessions because the campus wireless network is unable to reach the access point. Our structured cabling services help transform college campuses into more technologically savvy ones. Just contact State Systems, Inc. to learn more about structured cabling. Ask about our sophisticated fiber optic cabling solutions. State Systems, Inc. is proud to offers schools in Tennessee, Arkansas, and Mississippi paging and intercom system installation and maintenance services. Paging and intercom systems help schools locate employees, notify building occupants of emergencies, and broadcast routine announcements to all building occupants—quickly and efficiently. We can install simple, one-way paging systems as well as more complex two-way intercom systems depending on your facility’s needs. Call us today for more information on the paging and intercom systems we can install in your educational facility.